I was messing about in the garage this morning and came across a few old friends. A particular camera that interested me was the much boxed but never used Kodak Junior II camera that looked useful when I picked it up in my youth but never really gave any thought to. Having a serious trip to Paris in the offing I decided to give this camera the once-over. 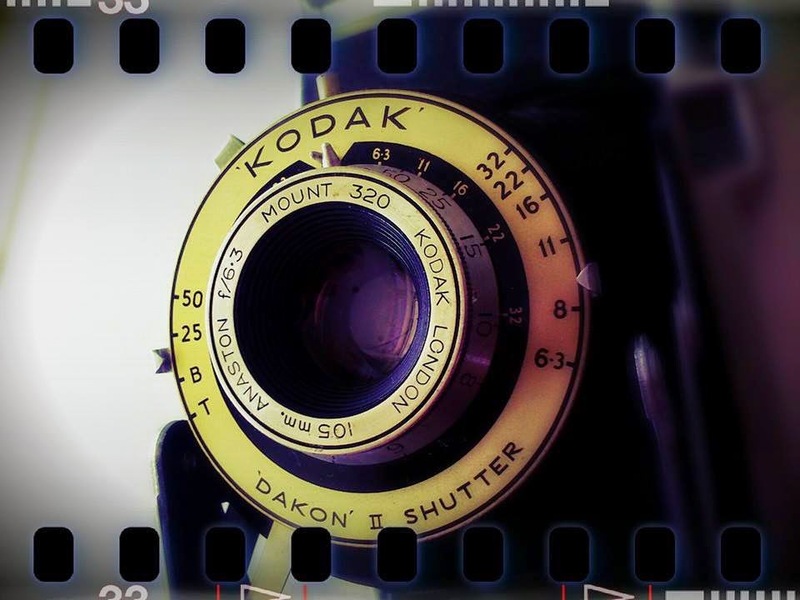 The Kodak Junior II camera was produced by Kodak between 1954 and 1959. It is a folding camera and unlike many of its relatives looks quite plasticy and cheaply made. The lens, however, appears to be built well and features a focus ring, f.stops from 6.3 to 32 and a mindblowing choice of two shutter speeds - 1/25th and 1/50th. The shutter can be fired at the lens but also from a red plastic button on the body of the camera. The viewfinder is a plastic window built into the body and is quite poor, as you may well expect from a folding camera it merely approximates what you might get back from the lab at Boots. The camera takes 620 film which is the same as 120 on a modified spool (now discontinued - Kodak persevered with this film format until 1995). The camera clearly states that it cannot be loaded with 120 film, however the previous owner (my grandfather) appears to have given to finger to their advice and jammed a 120 spool in there and gone at it with a Dremel in a vain attempt to force the camera to conform. This attempt appears to have been unsuccessful and so for the time being the Kodak Junior II camera will have to be a retro showpiece on my bookcase. May it rise like a phoenix.